Dr. Robert Biel specialises in international political economy, systems theory, sustainable development and urban agriculture. He has been a member of DPU staff since 1997-8, having previously taught at the School of Oriental and African Studies (SOAS) and Birkbeck College. He now works part-time, teaching a Masters course in Environment and Sustainable Development. His latest book, The Entropy of Capitalism (Leiden: Brill, 2012), proposes a novel synthesis between systems theory and political economy. As a practitioner of low-input agriculture as well as an activist in the Transition Towns movements, Robert is particularly interested in how crisis can act as a trigger for new community resilience. 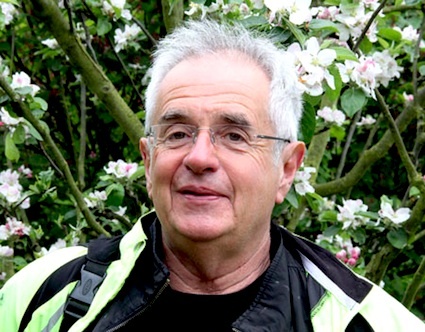 Together with Yves Cabannes, Robert has played a role within the DPU's funded research, consultancy and teaches on the issue of urban agriculture. Since I am bothering you about the topic of agriculture – my first question is about roots. Where do your roots for urban agriculture come from? Why did you got involved in this type of farming? I grew up in the city and I had no historical roots in agriculture at all. I was simply very interested in the idea. And I wanted to try. About 12 years ago I had an opportunity to have a plot to cultivate. That was a part of an English system which is called “the Allotment”. It is a system which is regulated by act of parliament, going back about 100 years. It is partly connected to the risk of alienation in the urban population. That is the historical framework. Plots are about 250 m². In the English context you can have one of these plots for quite a low rent – you are paying about 2 pounds per week. That is the system in England and I was able to access that. As part of my academic work, I was writing material around the use of colonialism and imperialism, and I was very interested in traditional social systems. I began to study the agricultural systems within traditional societies, in Africa, pre-​colonial Native American civilisations and China. I began to get some kind of knowledge about the way they related to the land. Drawing on that historical an anthropological material, I was able to catch some kind of framework and techniques, that I was able to apply. These techniques today might be given a name like agro-​ecology. It is a way in which agriculture can integrate with the ecosystem. I have been practising it for the last 12 years. Was it only because of your interest in agriculture or was it also because you saw that the food in grocery stores is not right? Did you feel that it is more about money and not about food quality? Yes, there is of course this element. And I wanted to demonstrate that I could be self sufficient. In terms of food that is grown. How did you try to succeed in that? I was working full time during that period, so I needed a system where I could manage to be self sufficient – at least in terms of vegetable production. I began to understand that the traditional systems were actually very efficient in terms of time. It is a sort of principle – less is more. The point is not to interfere with the soil too much. I am using a system where you don’t dig – you simply mulch the soil with a layer of organic matter. Once I began to understand that and work very closely with nature, then I could produce a lot of food with very little input of labour and time. Initially this was completely my private interest which was totally separated from my academic work, but over the last five years my food growing has become much closer to my academic work. I have been writing some materials around this, so it has moved much closer to my premium interests. If we look at the global scale, many figures are showing that the amount of people living in the cities is growing, which may never stop, and it is already hard now to feed the population in many large cities. Food security is becoming an issue. What is the reason for that in your opinion? Is there any problem at all? Ahmm… I think, if you look at the context in England, there is beginning to be some perception of this. There is quite a bit of impoverishment among the people. And access to food is quite limited. People have to take decisions about where they get their food and what they will eat, if not much money is going around. I think that there is a perception that food security, in terms of low-​income people, is beginning to decline. There was a false optimism for a certain period, particularly after World War Two, when there was some kind of modernistic vision that a chemical based agriculture and increasing scientific input would be able to liberate us from permanent food shortage and that was expressed very much in the green revolution which the USA was propagating among the developing countries. Of course that was an issue in the Cold War and in the decolonisation process as well, because the US was determined to dominate the post war system. And one of the ways they could do that was through the lack of growing food. They wanted to convince people and developing countries in particular, that if they align with the US camp in the Cold War they would receive infinite and inexhaustible supplies of food. Effectively… …that made the US the biggest food exporter. This is a straight political goal. If you study some of the think tanks and debates within the National Security Council of the US, as I did, it is very clear that there was an explicit agenda of controlling the post World War Two system through controlling food supplies, whether it was through exports or through exported technology. In the green revolution they were exporting hybrid seeds. And you know hybrid seeds don’t reproduce prototypes, so you have to keep buying them from the persons who sold you the initial ones. So you become dependent on access to genetic resources. And you have a kind of imperialism which dominates the system. Of course the more recent form is centred around genetically modified organisms, which is kind of carrying forward the green revolution idea. There is a sort of pseudo optimism, that science can solve everything. Of course, I am very much into science and I love science, but it should be a science that works in harmony with nature and traditional principles of agriculture. I think the area of science around complex systems, which interests me a lot, is going towards the direction of complexity and it is beginning to understand that we have to respect the principles of self organisation within complex systems and not try to enter in too much. What was happening in chemical based agriculture, was a sort of productionist’s view that we could reduce the whole problem of motility by putting in certain chemical elements, particularly nitrogen, phosphors and potassium. In my understanding, the fundamental problem in the food production crisis is that of destruction of the soil itself. This is an issue which was predicted a long time ago in the 19th century by Justus von Liebig who developed the chemical analysis of soil initially, who began to see what a danger it is going to be. That analysis was also made by Karl Marx in very farsighted way. There are sections in Marx’s Kapital in which he deals with the land. He points out the long term problem of capitalism – that it will actually destroy it own basis through destroying the relationship with the natural world, particularly the land. This, I think, is underlying the crisis. And of course the climate change is making this worse. The main manifestation of climate change is extreme events that are becoming more frequent, as we can see all the time. This is the beginning of the handicap for food security. And I think this is kind of the fundamental issue behind the Crisis. There is some perception within public opinion, at least in England, that this is becoming a problem, because people can see that prices are increasing, which is a reflection of scarcity and also speculation. If we get back to the topic of soil destruction… What do you think should be done, how can we really improve soil in cities? We have pollution, we have all these chemicals around us. 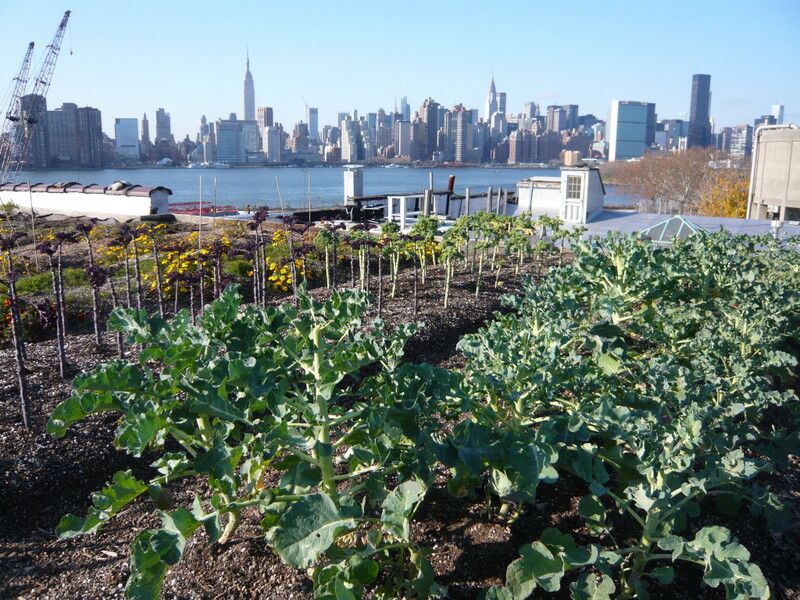 Is it even possible to grow food in an urban context? To improve soil, is it enough just to cover it with organic waste? I think we have to solve that problem very concretely for particular projects. I was running a project in a housing estate in London, which is an area where low-​income people live. There are tower blocks surrounded by empty space, and we were growing food in some of these green areas. We had a soil analysis, which we sent to a laboratory, and in this particular case there was no major pollution. Maybe it is not quite as bad as you expect. I think one of the changes that I’d like to see in the urban context will be to simplify the process of soil analysis. At the moment it is a very complicated process. The part of London University which I work in did some research about the pollution from road traffic. They set up monitoring stations around the major roads, which can trace the level of pollution next to the road. Again, it is encouraging in a way, because the level of pollution reduces very drastically if you are about 100 metres away from the road. This research was monitored over time and reduction of lead in petrol also had a major effect. In fact, the level of pollution in London, which was very serious a few years ago is much, is much less serious now, because of the changing formulation of petrol. That would be an issue that would be interesting to study concretely in the Russian context or elsewhere. This is just to give you some of the concrete measures. One is to improve the facility of soil now then to monitor the polluted sectors. If you extrapolate this research from London to Moscow, then I think it should be fine if you are some distance away from the main roads. 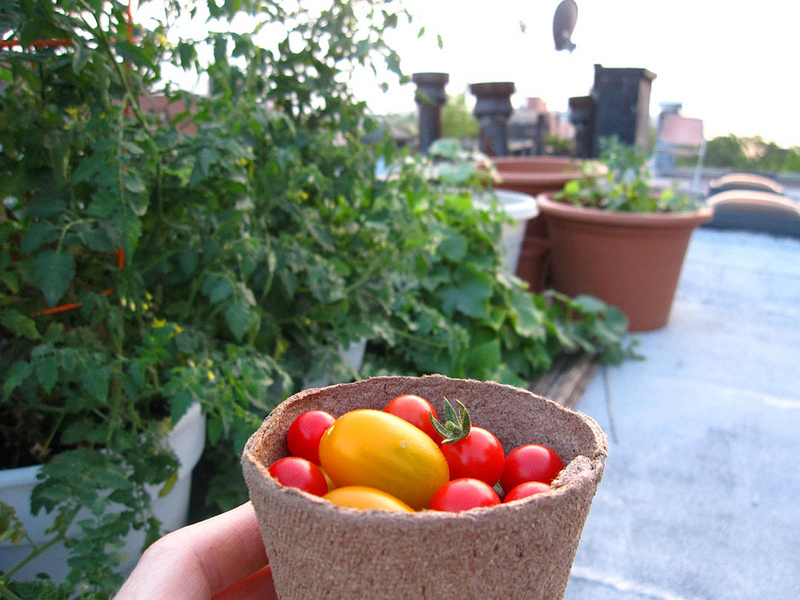 The third possibility is to use some kind of closed containers for growing food. There was one project in London, that I have been looking at recently, which is using large containers for food growing. So they are growing food not in the land but in containers which are filled with compost. It makes sense, if you are worried about the land. It is extremely interesting! 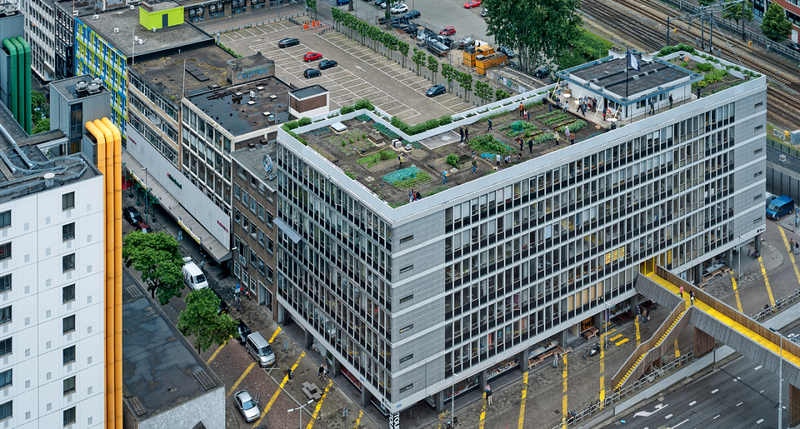 Obviously, the roof top of a building is one of the main areas where we could develop food growing in a big way. This has been done in the USA, for example, where they have large urban farms which are highly productive. One problem of this is weight. But you have building regulations where things are restricted to calculate the snow load. That facilitates the possibility to having a soil on top of the roof. You may find in the Russian context that roofs are already sufficiently strong. The other possibility for what you can do with the green roof idea is to allow a kind of wild area to develop. There are some experiments in England which are amazing; they created a kind of substrate which is mainly broken rock and gravel. It encouraged wild plants to establish themselves. This is not what you expect, but the city is even less polluted than the countryside. So if you create raw material green roofs, wild vegetation seeds itself which attracts wild birds and insects. And you can find there many animals which are almost extinct in rural areas. This is also very beneficial in growing food because you have pollinating insects and natural predators which are eating the pests. …so the natural effect will appear. What this research shows, and this certainly is my hypothesis, is that we could actually launch a food revolution in the city. Which would then allow agriculture in the countryside to be restructured on a sustainable basis, because if the city becomes more self sufficient in food then obviously it takes away pressure from the countryside to feed the parasitic city. And theoretically we can move towards a sustainable system for rural land as well. You were mentioning, in your interviews, that food production in the cities has to be very productive – otherwise there is no point in producing food if it can’t feed the population in the city. Do you mean that urban farming should move to the next step – which should be technology and usage of different techniques in urban farming? If so, maybe you can share with us some of the latest breakthroughs in urban farming? Like I said, I am very excited about science and one area at which we can look at is LED lighting. It is something with which I have been experimenting. I created an LED panel which is a mixture of blue and red LEDs, because that is apparently what plants respond to. And one of my ex-​students in Austria is also carrying out some experiments on a much more advanced level using LEDs, so you can grow completely indoors without using natural light at all. And of course, the energy efficiency of LEDs is already quite high. This is a revolution where we are at the moment in the middle, but not at the end of it. We will actually have a situation where you can create light with almost no energy cost. It will lead to a situation where you can easily grow food inside buildings. And I have been doing that on a small scale, just to see how well it works – and it works pretty well. But the future of the LED revolution is still ahead of us. I am very strongly in favor of the scientific approach and I want to believe in it, but what we need is these projects that actually work. At the moment this is not the case – they are at a very preliminary level. What we need is real actual projects where we can see and prove how it is working. Until we get there – it is very difficult and I want to believe in it. The experience that might, at the moment, be the most interesting oneto look at is the one in the USA in Milwaukee. It is a project called “Growing power”. 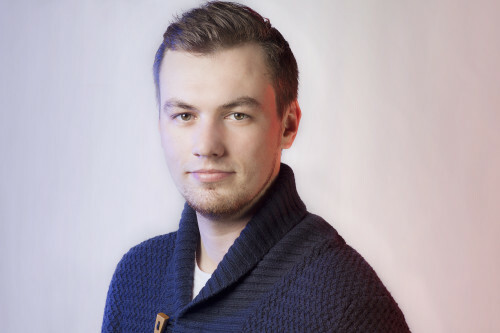 This guy, Will Allen, whom I met, is moving forward a project which is working in an area where is lot of social alienation, where young people are joining gangs and the drug culture. This is kind of the problem which is obviously also quite a big issue in Russia. What he has done is to create this project which is on the one hand extremely efficient from the point of view of food production, but at the same time it is anchored within the community. He brought the local youth in to the project and he really restored optimism to the community through this project. At the same time the technique that he developed for growing the food is really amazing! 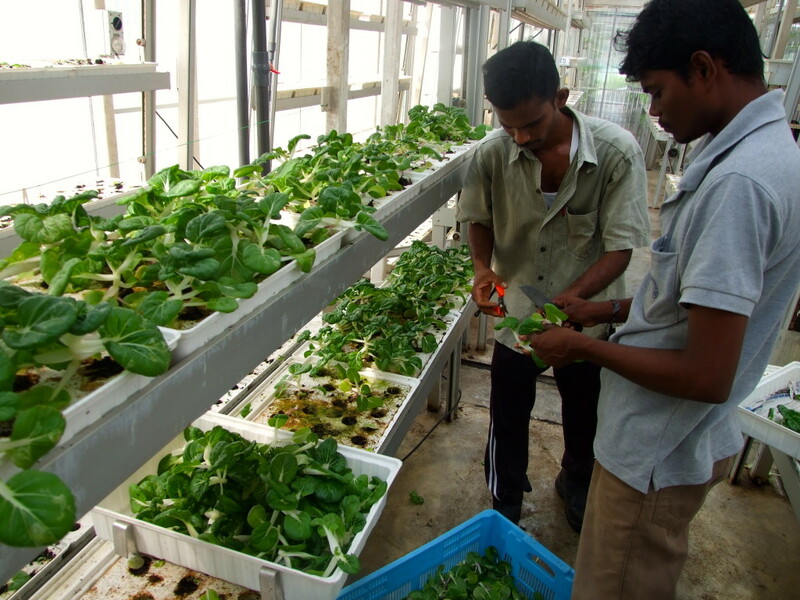 It is an aquaponic system which is a mixture of fish and vegetable production. That is the most advanced approach that I know of. If you study what Will has done – then maybe that is the future. It has very advanced technology with high social integration. I think that is very important! If we look into the future… Can you see what urban farming will be like in the future? Maybe you can say what it will look like? Will it really help us to solve food security issues? The strategic solution in the food crisis is to make radical changes in agriculture in the larger sense. It can’t give results only at the urban level. You have to change the entire agriculture system and that would be quite a complex process. If we look at rural agriculture in the countryside, you have to maintain the existing level of productivity of the land. But the productivity of labour will probably decline in the sense that it will become more labour intensive. The agriculture of the future will be somewhat more labour intensive. If you’re asking me for a future prediction, I think there will be some de-​urbanization, because there is lot of unemployment in the urban sector. This is already happening in some developing countries . People who migrate from the countryside, in Africa for example, they retain links with the place they came from. The possibilities for relocating the village are there. We can create a sustainable agricultural system. It can be called agro-​ecology. Agro-​ecology is not only about the actual technical farming system, but it is also about how society is organised. I think there will be different kinds of human settlement and maybe villages of a new kind will develop. There will be a lot of changes, not only technical, but also social. …it wouldn’t surprise me. Because, in fact, existing large scale agri-​business is something that is very unnatural and it has no social basis within rural society. Probably in some kind of future vision there will also be a different countryside, which will be the basis for a sustainable system which will be highly productive as well. One of the problems that we need to solve is how agriculture will contribute positively to resolving the climate issue. It will take a long time to explain this, but there are a number of technical approaches to sequestering carbon in the soil, which simultaneously improve fertility. In terms of strategic vision that would be the fundamental part. I think where urban food growing can contribute is in a kind of transitional phase. At the moment, each and every city is parasitic on the countryside and is dependent on being fed by it. If the city can begin to feed itself, then you can begin the process of restructuring rural agriculture along organic lines because the conversion process from chemical based agriculture to sustainable organic agriculture is actually quite difficult and it takes time. This transition process is crucial. It is particularly the case for food, it is impossible for the existing food system to stop producing food for two or ten years, because we have to keep feeding the population. The most difficult problem in terms of the food crisis is that transition period of several years, before we get to the sustainable system. I think if we look at it in a strategic way, urban food growing will play a bridging role, where the city becomes less parasitic, less dependent on external food imports. This will create the conditions for this incredible revolutionary change in rural agriculture, which is the only basis for a long term sustainable solution to the food problem. And it will improve the climate. Just to clarify… You mean to have this period where cities could feed themselves there has to be high-​tech and highly productive urban farming? 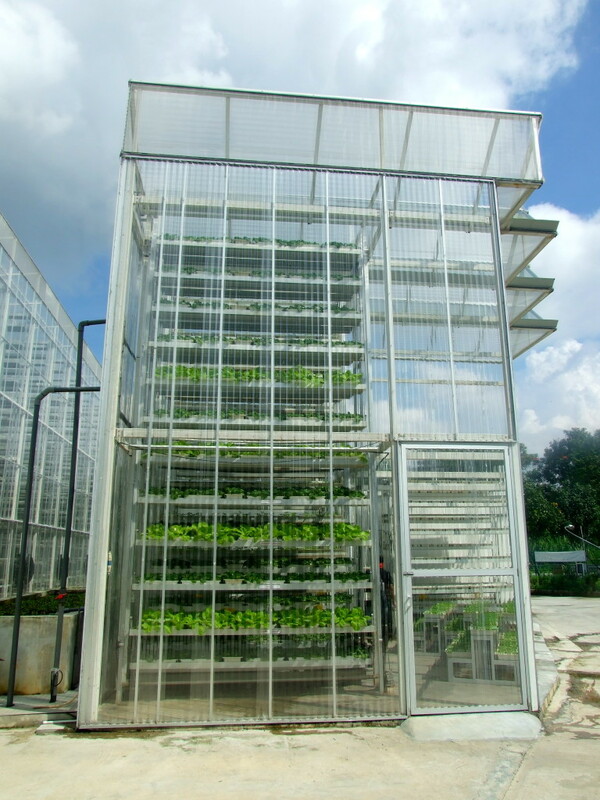 If we take Singapore, for example, where they built the first urban farm in 2012, they are producing 1 ton of vegetables per day. That is 5 to 10 times more per unit area compared to other traditional farms. Exactly, I totally agree with that. I think that this is precisely what we need to do. The point I was making was that we need to understand how it fits the metabolism of the city and the strength of Will Allen’s project in comparison with this project in Singapore is that we can demonstrate exactly where the fertilizer comes from, how the system works, what the energy demands are and so on… At the moment what is lacking is experience and evidence for understanding what the right approach should be. Military drones, the internet and artificial intelligence alter the face of war. How will our cities adapt to new threats?